I did this in 2012 when I was 24 years old. 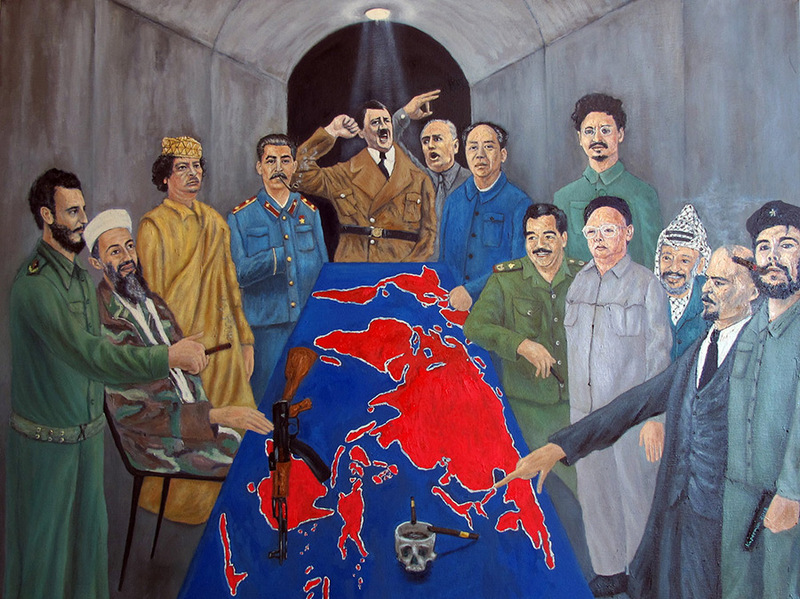 This painting shows 13 notorious political figures of the 20th century plotting how to take over the world over a table with the world’s map, excluding Antarctica. It is inspired by “The Last Supper” concept, except for Jesus and all of the 12 disciples, it’s all of the notorious people with Hitler in the middle. This piece has some political inclinations to the time when I painted it, to which I feel differently about now. However it criticizes the current situation of the world, and the notion of “New World Order”, taking place not being a positive event. The way this idea was brought to life, is one day I was hanging out with my friend. We were talking about possible paintings about World War 2, and he suggested that it would be interesting if I did a historical painting showing Hitler commanding his generals in the tactics room, showing the map of the area to invade. However, my imagination came into play and I thought that maybe I would just do all notorious figures of 20th century pop culture that are most recognizable, all plotting on world take over. I don’t do this kind of art anymore, but this was an interesting experiment. If I did this today, I of course would have done a much better job executing it. Anyways, I hope you enjoy this and the brief description.